Already know, think you know or want to know the pulse of the Summer of 2014? Tune in and listen to our special guest, award-winning writer Shea Serrano. Shea covers it all; from music to food to sports to culture. Everything is “cool” with Shea, even when it’s not. 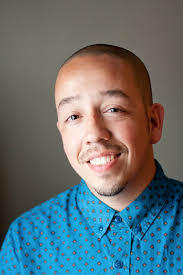 Shea Serrano is an award-winning music writer and goofball based in Houston, TX whose recent exploits can be read on Grantland, Rolling Stone, ESPN, MTV, XXL, LA Weekly, Vice and the Village Voice. He mainly writes about rap, basketball and TV and created Bun B’s Rap Coloring Book and Activity Book. When not writing or goofing, Shea teaches science to middle schoolers in Houston’s inner city. His Twitter handle is @SheaSerrano. Can’t listen live? No worries, catch the podcast starting later tonight at Between the Synapse.